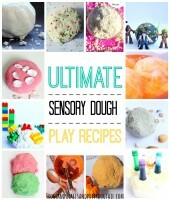 I get so excited to get in the kitchen and create sensory play recipes for the kids. I know, crazy. I never know what will or won’t work when I start. 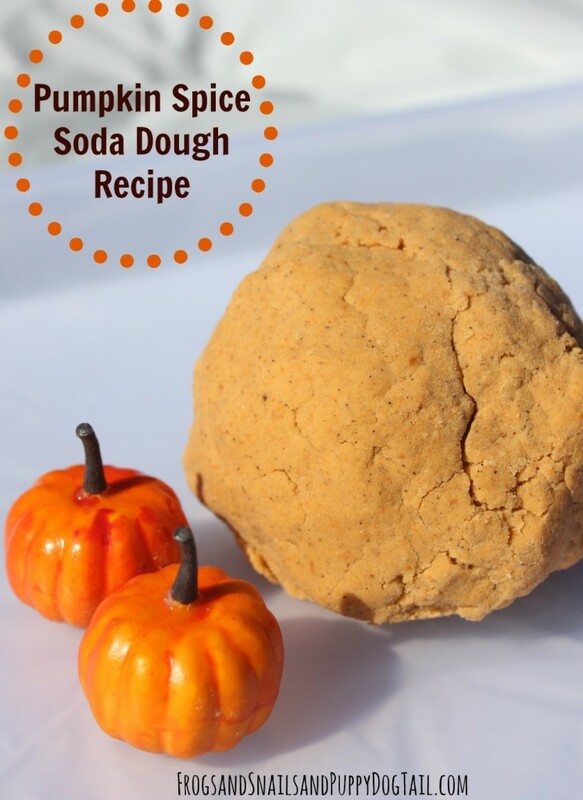 Same went for the Pumpkin Spice Soda Dough Recipe I am sharing with you today. I had an idea and no clue if it would work but I went for it. So happy I found a recipe that worked and the kids loved playing with. Now what to make next? 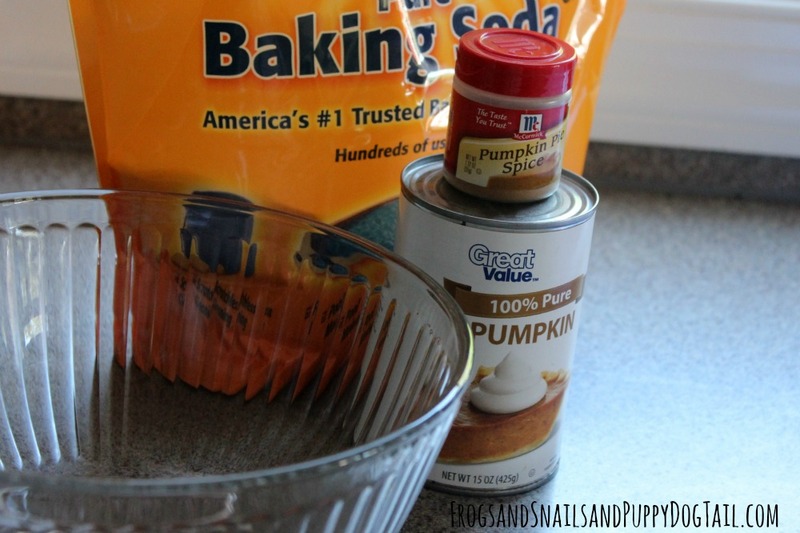 Add 2 c of baking soda to a bowl. 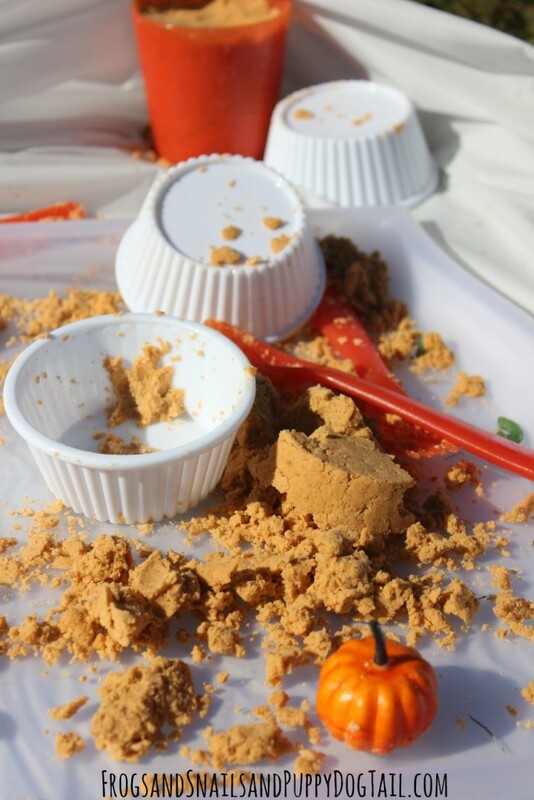 Scoop in about a 1/4 c of pumpkin puree. Mix together with hands. Once I did this the texture was fun but not moldable. I wanted moldable dough for the kids. After some thought I grabbed cooking oil out of the pantry and added it. I ended up adding 4 TBSP to the mix. I wanted a brighter orange so I then added a little orange gel food coloring. This is optional. And for a sweeter smell I added a sprinkle of pumpkin spice to the bowl. Mix well and then it is time to play. 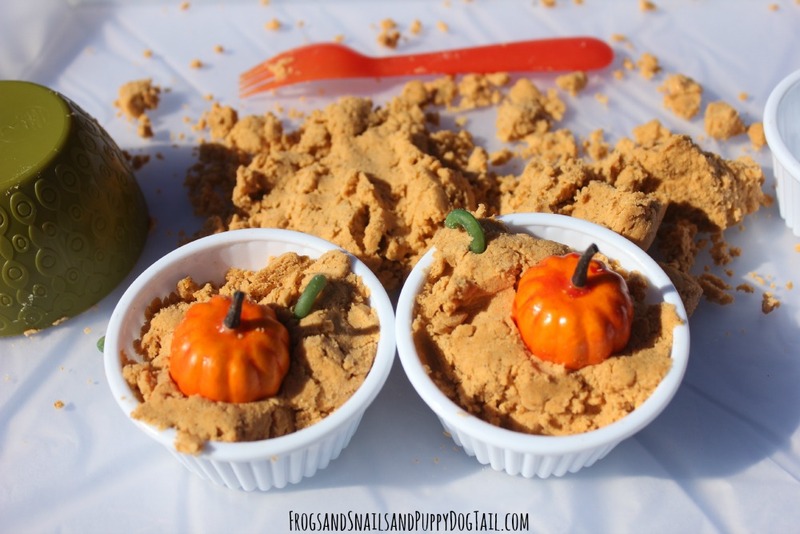 Now that we had our pumpkin spice soda dough recipe worked out, it was time to play. I grabbed a tray, small bowls, plastic utensils, decorative pumpkins, a few green noodles, and a few extra miscellaneous bowls and cups. This simple set up was perfect for my 3 kids to play with. I also love that this works for multiple age ranges. I have a 2, 4, and 6yr. They all had fun playing with this. 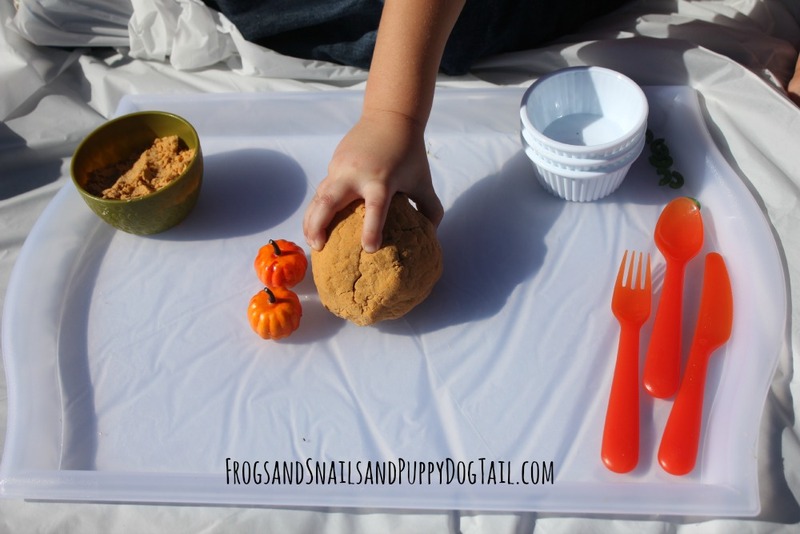 This is a great hands on play activity for kids. Fun for fall and great to take outside. 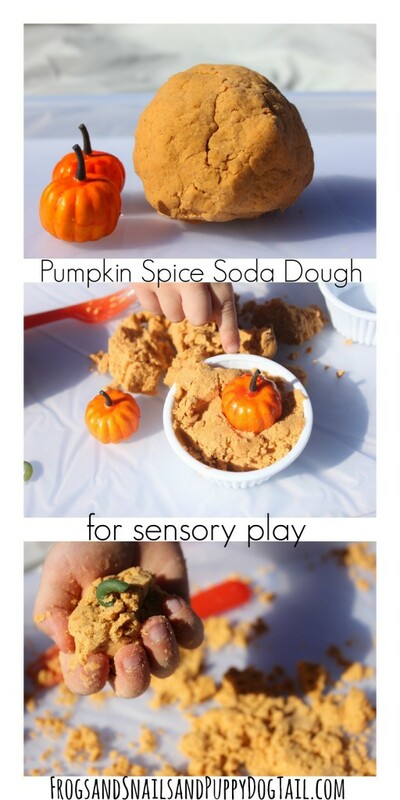 It is also a fun way to explore your senses ( sight, touch, and smell). Clean up was easy too. I put everything back on the tray and brought it in. I am not sure if this dough will keep. I put it in a ziploc bag and washed off the other items they played with. 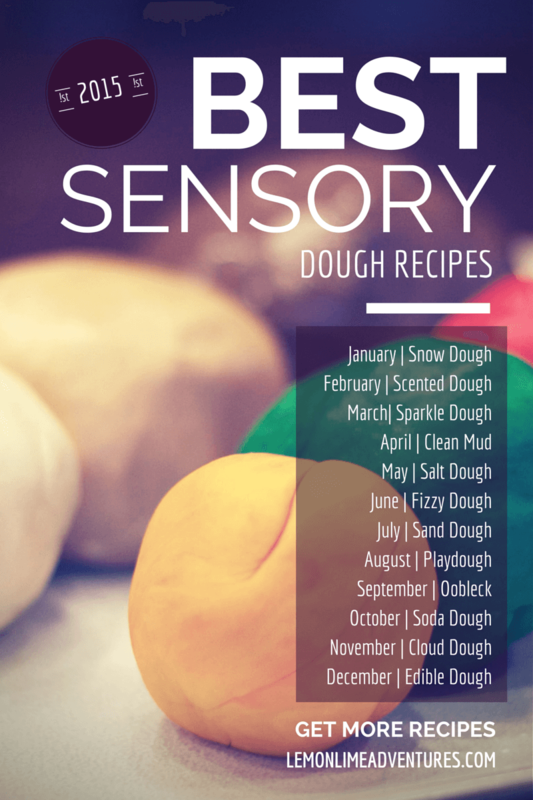 This post is part of 12 Months Sensory Dough series hosted by Lemon Lime Adventure.